Make timesheet collection and payroll simple! freshOps and Xero work strongly together to deliver the Cleaning Industries Most Accurate Time & Attendance Records directly into Xero with ease. Say Goodbye! to paper timesheets for good. Integrate freshOps + Xero in minutes with our Guided Setup. Sync your existing employee details, Setup Site Tracking and Create Pay Rules fast. Remove the need for any manual data entry and human error with your Timesheet processing. Sync your existing Employee Details from Xero straight into freshOps or map back the other way for a quick and easy start. Auto-Pairing Employees help syncing Employees across both Xero and freshOps if their individual records don’t quite match. Helps link Full Legal Names in Xero with Informal Titles your employees may have within freshOps. 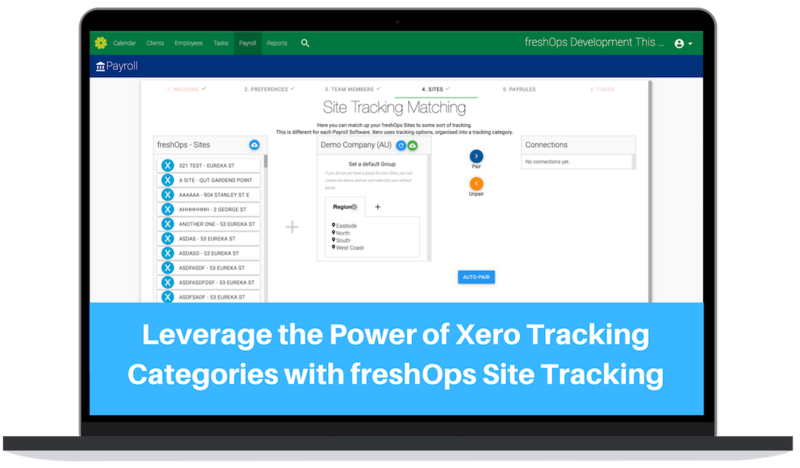 Sync freshOps Time & Attendance Records on your Sites with Xero Tracking options for each Site. You now have the power to run true Profit & Loss Reports within Xero based on the Site Tracking Categories. See which are your Most Profitable Sites are with ease within Xero. Not currently using Xero Tracking Categories? Use freshOps to create Tracking Options that perfectly match your Site within freshOps, so you can run Profit & Loss Reports based on your Sites. 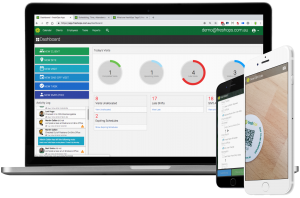 Map you Xero Tracking options to freshOps Sites for improved reporting of the Net Labour Costs of Employees on each of your Sites. The freshOps Payrules Engine means you can build rules to help interpret any Award Conditions to help you stay compliant with workplace payroll requirements. Need to pay your workers different Pay rates based on time of day? 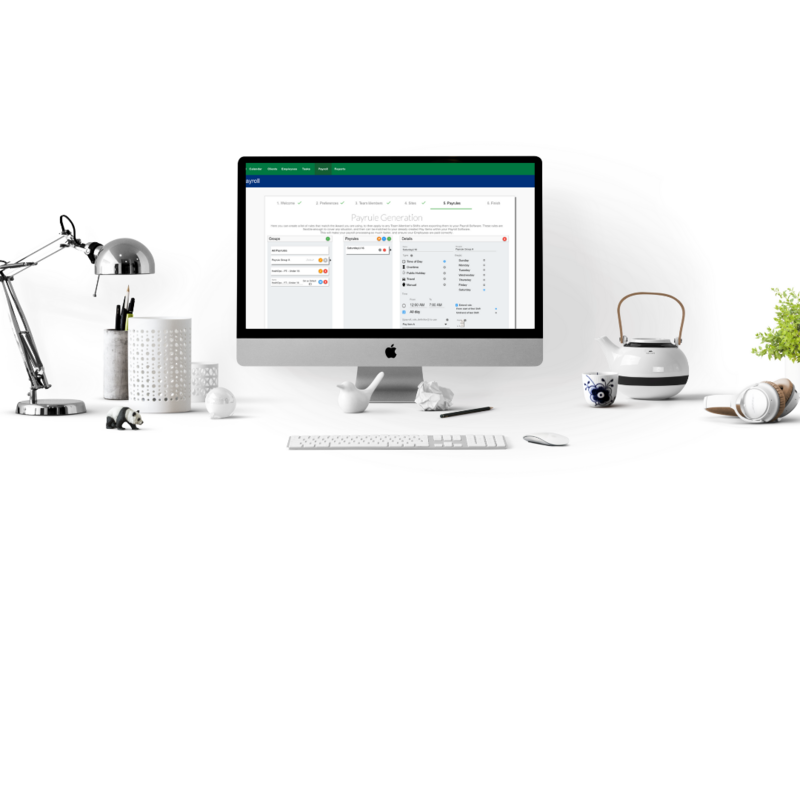 Pay Rules keep you Timesheets up to date. Ensure you are not paying Employees incorrectly based on the day of the week they work. Help manage Public Holidays, Travel and other requirements….